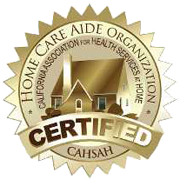 Continuity Care Home Nurses is a licensed, state-of-the-art home health agency consisting of a multi-disciplinary team of health care professionals that are dedicated to the patient care philosophy of "continuity of care." Our personalized service, knowledgeable staff, and close monitoring of services provided create a warm, supportive, and caring environment for patients as well as family members. Discriminating people who expect an exceptional level of quality care will appreciate the services of Continuity Care Home Nurses. We provide a pre-admission RN patient assessment and a free insurance evaluation to the patient. Home care may be covered under the patient’s insurance plan. Upon referral to our agency, the patient’s insurance coverage will be verified by our knowledgeable staff. Our nursing management team will determine the patients needs, and based on knowledge of the medical necessity requirements, will help the patient determine exactly what is covered under their insurance plan. Agency accepts worker’s compensation, long term care insurance, private insurance and private pay including credit cards. Continuity Care Home Nurses provides a warm, supportive, and caring environment for both the patient and family members. We will advise our patients in setting up their home for the most convenient and supportive environment for patient care, including advising them on the need for specific items, i.e. Hospital bed, bedside commode, walker, and other items. 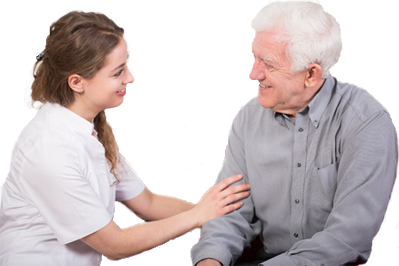 We work in the patient’s home under the patient’s physician’s orders and work closely with the physician to provide the total care necessary for the patient. Therapy Specialists provide in home services for patients recovering from illness, injury or surgery. Our therapists work one-on-one with patient’s and their doctors to develop a customized plan of care. Physical therapy helps improve strength, balance and endurance for those having trouble walking, getting out of the bed or bathtub, using the bathroom, or climbing stairs. Occupational therapy helps improve daily function with activities such as: dressing, feeding, and bathing. Speech therapy helps improve communication or swallowing impairments. Speech therapy is also used to help patients with cognitive disorders following a stroke, brain injury or illness. Providing services and support for adults and children with developmental and physical disability needs. Excellent care and very professional staff. Continuity is very responsive to the needs of the individual. My great aunt is 93 and has used their service twice. On both occasions they found excellent caregivers on a moments notice. They train their staff very well and they are always ethical and compassionate. I am very grateful to Continuity for the great care they are giving to my 93 year old aunt. Thank you Continuity Care Home Nurses!!! Maryanne Sawoski and the entire team at Continuity Care were amazing to work with. The nurses that took care of my mother were some of the best I have ever experienced. They managed her pain with professionalism, empathy and kindness - and handled anything and everything with absolute grace. She was as comfortable as possible given the circumstances. Our case manager truly cared for my mother, and advocated on her behalf - both to the hospice doctors, as well as the insurance company. 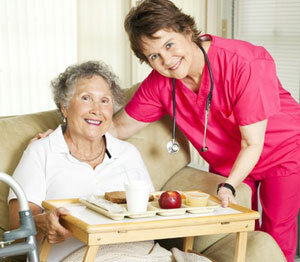 I would highly recommend Continuity Care for any type of supplemental nursing needs.